Buffalo’s new Explorer is made from robust ripstop fabric and reinforced with leather to create a tough go-anywhere jacket at an affordable price. 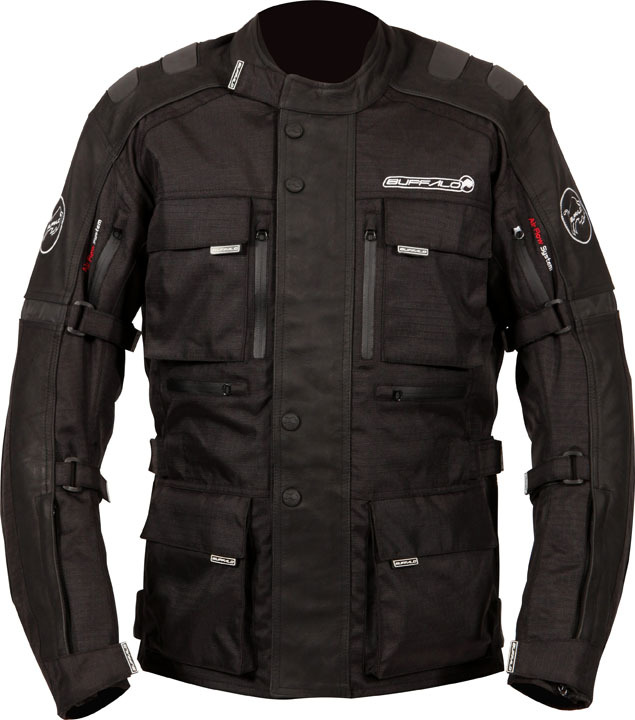 The Explorer’s outer material is durable 600 denier ripstop, with leather at key areas for extra strength. 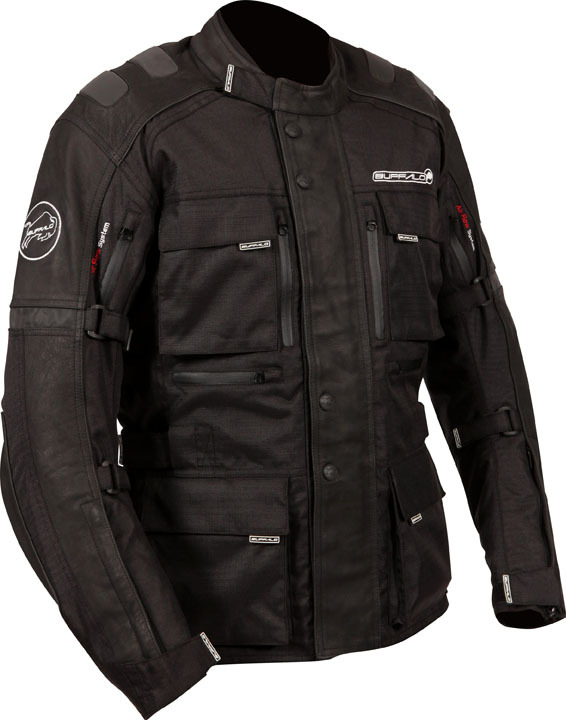 Level 2 CE approved armour is included at the shoulders and elbows, and there’s the option to fit a back protector if required. 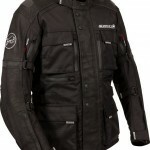 Reflective stripes and detailing are also included, for added night-time visibility. 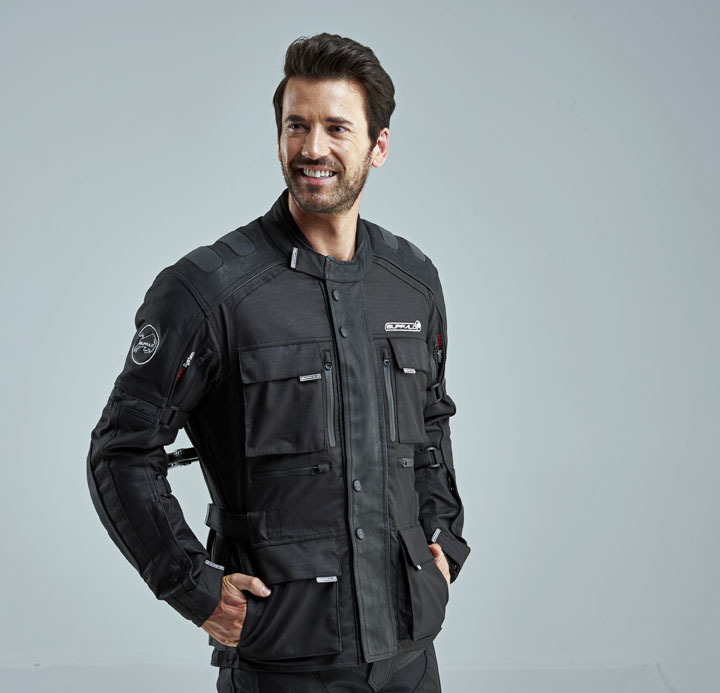 A waterproof, windproof and breathable drop lining keeps the wearer dry with a YKK® main zip under a popper and Velcro®-retained storm flap to ensure the weather stays on the outside. 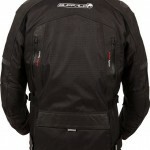 Inside there is a removable 120 gram thermal quilted lining for warmth. 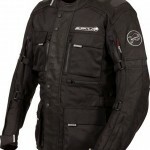 When the temperature rises, zipped ventilation to the chest, upper arms and rear of the jacket allows a cooling airflow. An adjustable twin belt system to the waist and Velcro® retained adjusters at the collar, cuffs and arms provide a snug and comfortable fit. 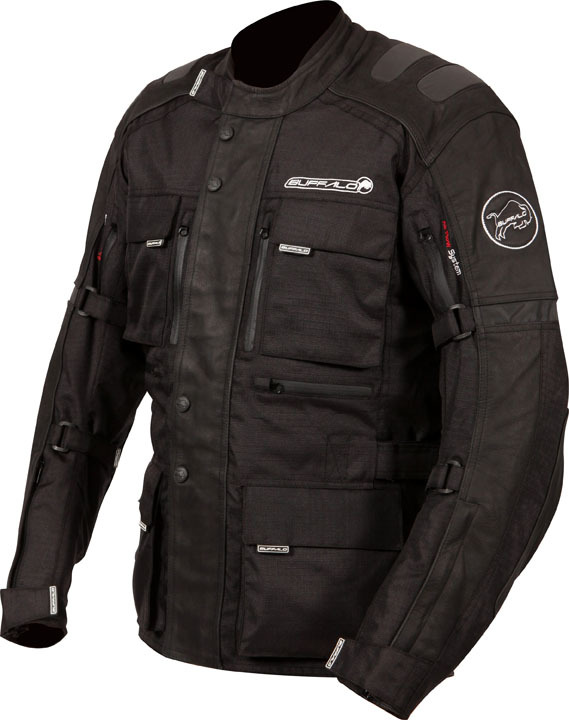 An 8-inch trouser connection zip helps to prevent the jacket from ‘riding-up’ and allowing in cold air. 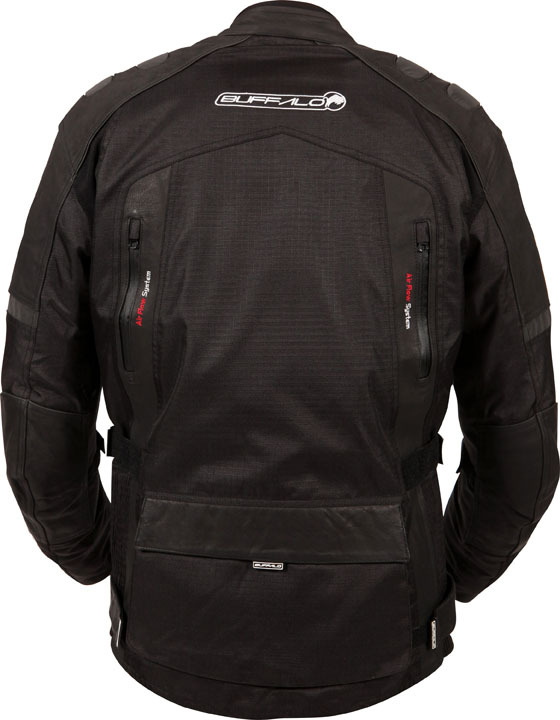 Topping off the Explorer’s impressive specification are the 4 external pockets plus 2 hand-warmer pockets, as well as internal pockets for valuables and a large rear pocket, which is ideal for carrying bigger items, like maps or waterproof over-trousers. 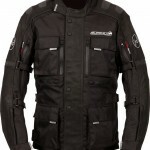 The Buffalo Explorer comes in sizes S–5XL in classic Black, and matching Buffalo Endurance jeans are also available.